Storm season is an unpleasant time of the year for many people. Some of this weather can even destroy or damage our roofs. 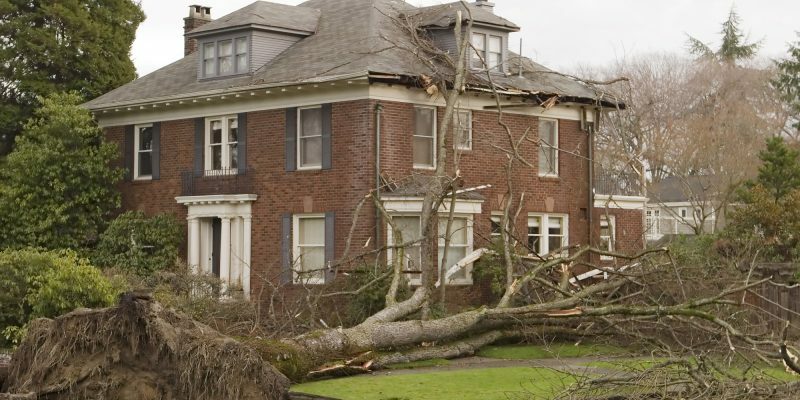 This damage can take even the most attentive property owners by surprise at times. While no one can completely avoid this storm damage, there are steps people can take to prevent some of it. 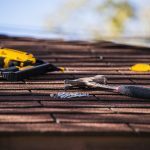 From routine roof checks to simple maintenance, here are five things you can do to keep the roofs over your heads. 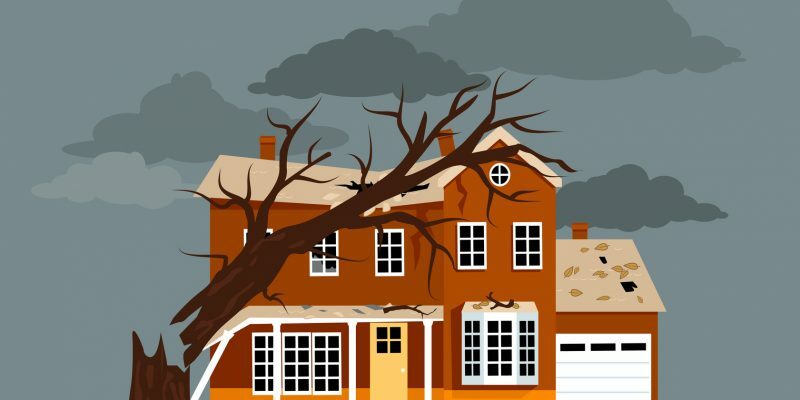 The time to be concerned about the condition of your roof is before storm season hits. Waiting until storm season arrives is only going to make any existing problems worse. You don’t want to spend more than what is necessary because you waited too long to make simple fixes, right? In any case, there is a pretty generic checklist that can be used to examine the overall condition of your roof. The first order of business should be to look for the obvious things, such as missing tiles or shingles. You should also be sure to check the condition of the tiles that are still on your roof. Are they loose or bent? You might want to think about arranging some small fixes if so. You might also consider evaluating your roof’s condition from the inside of your property. This works best from the attic. If you find leaks or gaping holes that allow water or air to enter the building, you need to make some fixes before storm season hits. Be sure to do this type of check at least a couple of times a year. You could do one before winter sets in to make sure that you have no problems up top. If you don’t check your roof before winter, you risk not being able to once the snow and ice pile up. You might also choose to check up on your roof after winter ends. This is the perfect time to find out how your roof held up during the colder months. This tip is more geared towards those of you who have some property that isn’t residential. We’d just like to address some mistakes that building owners might make. Sometimes building owners, for one reason or another, choose residential products for their roofs. This is specifically problematic when residential gutters are chosen for commercial buildings. Commercial buildings typically collect more water than their residential cousins. As a result, a lot more water runs through these gutters. If commercial buildings rely on residential gutters, the water will run all the way to these buildings’ foundations. This will damage them. 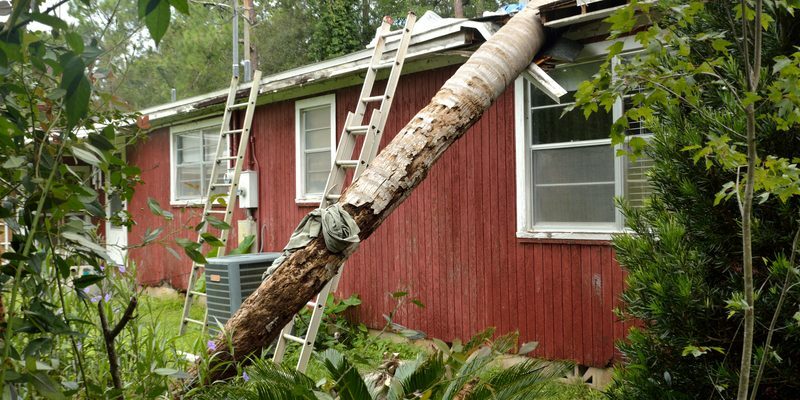 Technically, this doesn’t necessarily result in storm damage to your roof. Still, this is a problem that starts on your building’s roof. So, it’s a problem that you’ll need a roofing company to fix. Many people don’t really know the positive effects that a little spring cleaning can have on their property. Cleaning is more than cosmetic. 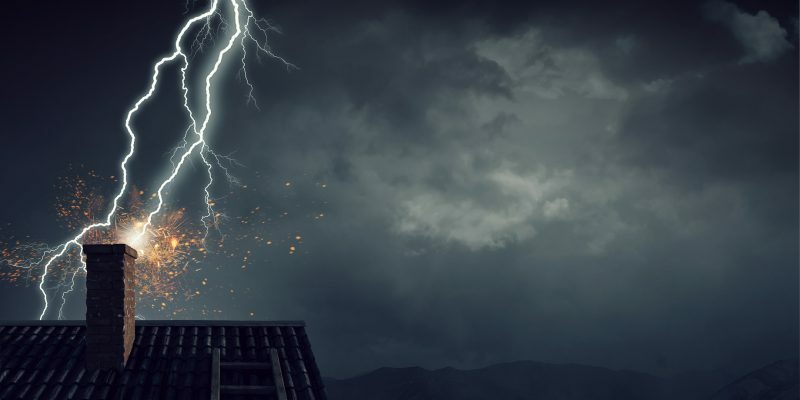 It can literally save your roof from storm damage. When cleaning your roofs, start by removing the obvious junk up there (basic maintenance). If you have tons of foliage or branches lying around on your roof, get rid of them. Every bit of garbage that builds up on your roof makes it heavier. When your roof gets too heavy, it becomes easier for certain sections to cave in. Clearing your roof is also a matter of preventing drains from getting clogged. During the winter months, snow and ice can cause problems like this. Your gutters should also be cleaned. They play a vital part in proper drainage. Without properly functioning gutters, your roof is much more likely to develop a leak. Repairing damage quickly is the name of the game. That said, storm season or not, you should get to repairing any damage you can identify as soon as you see it. Don’t wait until you absolutely must get the repair done. You might think that it’s okay to sit on the damage for a while. 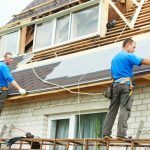 However, ignored issues make it easier for your roof to suffer storm damage when the weather gets bad. Got a hole or a leak in your roof? Need new gutters? Then, please, repair this damage as soon as possible. You’ll probably end up paying more in the long run if you don’t. Trust us when we say that we’re coming from a good place when we tell you to call in the professionals. There are plenty of doable DIY fixes, but sometimes you just need someone who is extremely qualified to do the job. We know that some of you want to hold on to your money, and we get it. That doesn’t change the fact that you pay professionals for a reason. They know what they’re doing, and they’re usually pretty good at it. Professional roofers know all about fixing problems with gutters and doing roof replacements. Not only that, but they’re also excellent at uncovering hidden problems. These are issues you might never have been able to identify without their help. Further still, your roof is not a place to attempt DIY fixes. Roofs are not cheap. So, there is no reason to undervalue your roof so much that you turn into a personal project. 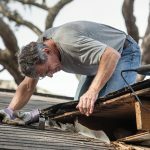 So, it’s impossible to always stay ahead of any damage that it might cause to your roof. Even if you can’t stay ahead, though, it’s nice to be prepared at the very least. Preparedness is what we excel at here at Davis Contracting. 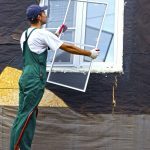 We specialize in repairing roofs, windows, and siding. We’ve been doing so for more than 15 years now. That said, if you’d like to get your estimate or home inspection, don’t forget to fill out our contact form. We’ll be in touch soon after you do.